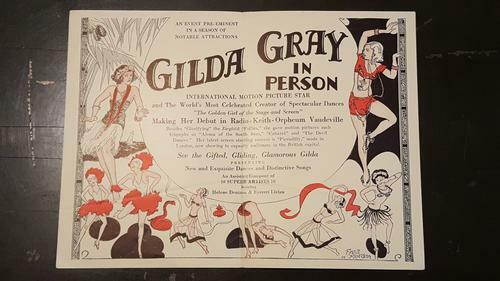 October 24 marks the birthday of the Roaring Twenties icon Gilda Gray. Born on October 24, 1901 as Marianna Michalska in Krakow, Poland, Gray didn’t get off to the easiest start in life. She was orphaned when her parents were tragically killed in the revolution. After getting adopted from the Polish orphanage, she moved along with her new family to Milwaukee in 1909. It was clear from the start that Gray had some serious talent. She started off singing and dancing around Chicago saloons as a teenager. 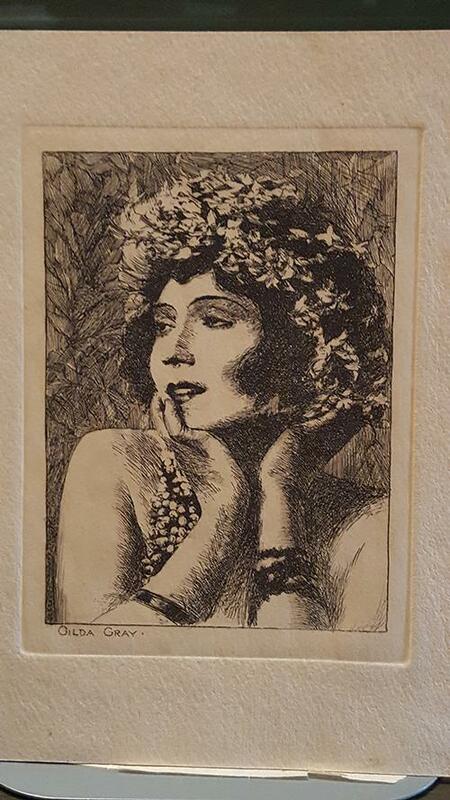 As she rose to fame in the 1920s, she rapidly graduated from speakeasies in the Midwest to Cabarets in New York, later heading to Broadway and hitting the big leagues with features in the Ziegfeld Follies and George White’s Scandals. While Gray’s true talents were in song and dance, her dream was always to break into film. She moved to Hollywood where she began in Vaudeville and promptly graduated to the silent film screen. Some of her notable films were Aloma of the South Seas (1926), The Devil Dancer (1927), and Piccadilly (1929). What was it that made Gray so popular? It was her shimmy. 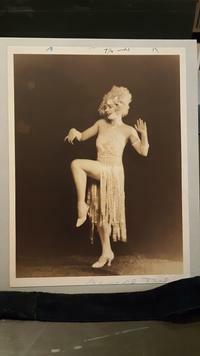 She was famous for her dancing and, even if the invention of the iconic 1920s shimmy is up for debate, the fact that she singlehandedly popularized the move is clear. 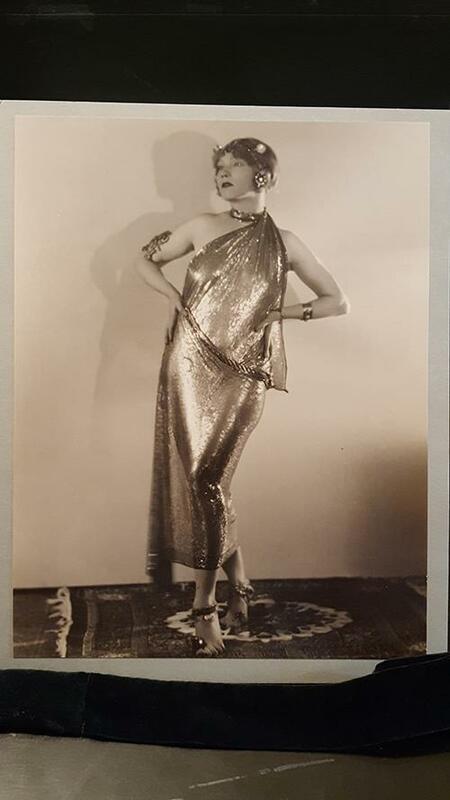 In her days on Broadway through her work in film, Gray can be seen boasting the archetypal dance and sporting the elaborate sequined and rhinestoned headdresses and gowns so integral to fashion in the twenties. The dance was so pervasive, it is rumored that no actress or dancer could get a job in the biz if they couldn’t emulate the move. Pretty much every movie Gray made it into heavily featured her famous shimmy, along with her stylish and elaborate headdresses. 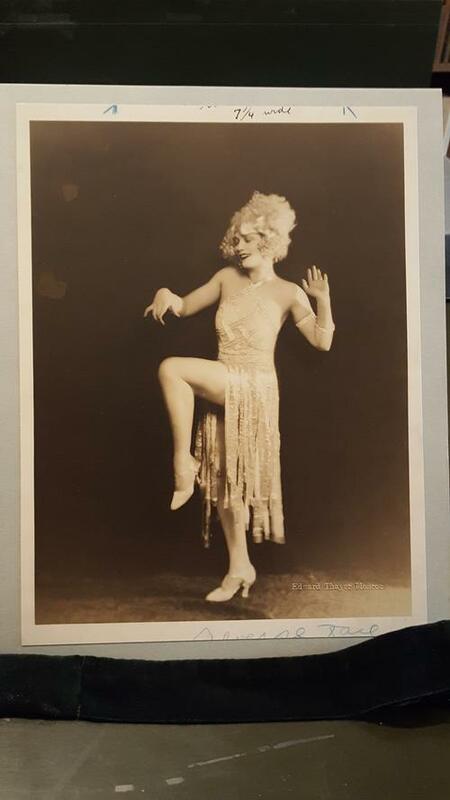 Here in the Theatre Collection at the Free Library of Philadelphia, we are lucky to have our own shimmering piece from the shimmy dancer’s exciting career. 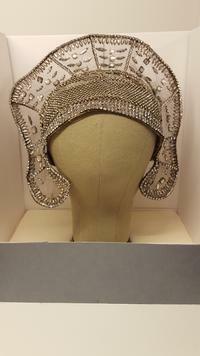 Much like the beginning of Gray’s life, the life of her rhinestone-encrusted headdress at the Free Library also got off to a rocky start. Long obscured in a cardboard box thought to hold spare tissue paper, this magnificent, glittering headdress was discovered a few years back and was immediately rehoused. Collection Care created for Gilda Gray’s rhinestone headdress, which was worn by the dancer in the 1922 Ziegfeld Follies, a one-of-a-kind blue board box not only with a removable lid, but also a drawbridge-style front, allowing for optimal viewing and minimal disturbance of the delicate piece. After an abundant performance career through the twenties, Gray fell on harder times after the Depression. Following a quieter latter half of her life, the seminal shimmy-er passed away of a heart attack on December 22, 1959 in Hollywood.